Home » Blog » General » Are My Video Cameras Secure? A question that we hear often when helping design a video solution is “Are the cameras secure”? This is a great question and an important one for us to answer. Security is meant to ease your mind of worries; not create new ones. With Technology evolving at a fast pace, we constantly feel vulnerable that our information, data, private conversations, or even camera feeds are being accessed without our knowledge and providing backdoors into our private lives. You will be glad to know that a professional video solution from TELSCO is designed and delivered with the highest security and installation standards in place. Our TELSCO Connect video solutions, powered by Alarm.com, address security concerns in various ways in order to protect your privacy. It starts with professional equipment. IP cameras, by their nature, have an IP address and are accessible via this address. This is a definite risk for cameras that are purchased over the counter or online from various retailers. Although our TELSCO Connect cameras are IP, they have several security safeguards in place to make them more secure than their generic counterparts. With these cameras, powered by Alarm.com, a massive Network Operations Centre stands between any would be hacker and your private video feed. All video streams, as well as any video device commands, are sent from Alarm.com servers over a VPN connection using bank-grade AES-256 encryption. This means that even if there is no security on your local Wi-Fi network (or your Wi-Fi is somehow compromised), cameras will always connect over a high-security path, using either the VPN (for relayed connections) or through HTTPS (for direct connections). Professional installation by a trusted name in security provides peace of mind when it comes to the installation and activation of your video solution. Your video account is created specifically for you (always using new equipment and a unique account) and is activated onsite by a qualified technician. Following activation of your account, your technician will provide hands-on training, so you know how to use all the features of your cameras and get the most out of your system. There are settings that determine when a camera will or will not record. For example, you may want to have your outdoor driveway camera record video 24/7 but may feel more comfortable with your indoor camera programmed only to record footage when there is an alarm in progress. Once your account goes live, there is no way for us to see your cameras. You don’t have to worry about one of our customer care reps catching you in your PJ’s or getting a glimpse of your family while hanging out at home. If we need to help troubleshoot your video, you can grant us access, but this is for a very limited amount of time and does not provide access to any of your recorded clips; only a live stream. Using your unique username and password, you can access your cameras from anywhere in the world using your smartphone, tablet or PC. Notifications to alert you if someone has logged into your account and bad login lockout (account freeze) offer additional layers of protection while maximizing your convenience. Professional video provides a powerful tool for enhanced peace of mind and security. 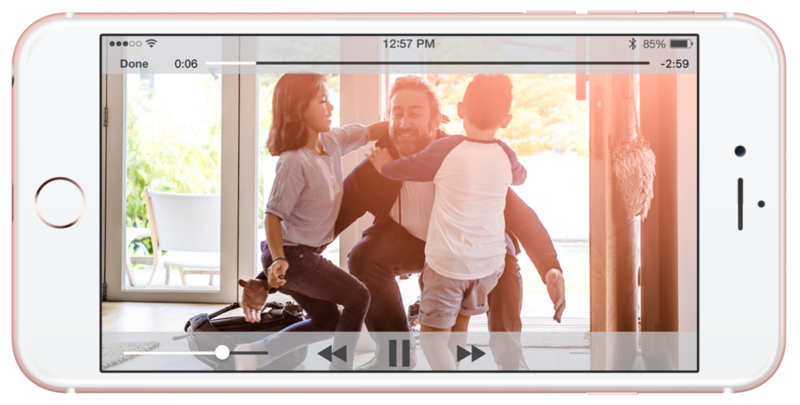 Whether you are checking in on a pet, having a look at the kids, or checking in to see why the alarm is going off, the intelligence offered by video takes your security solution to the next level. 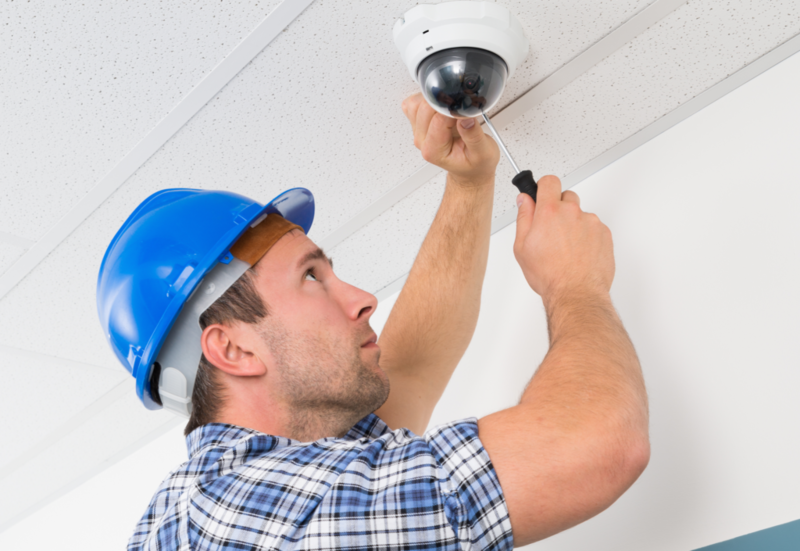 If you are interested in adding professional video cameras to your security solution, our team would be happy to help. We can answer any additional questions that you have about security and design a solution customized just for you.